Toons of the world -- I'm here to bring you some important news from the Toon Council. Have you ever been taking a nap in Dreamland, just to be woken up by an AHOOOOGA howling into the night? Have you ever had your sound on just a little too loud when your friend decides to use an Opera Singer? Do you ever inexplicably end up in bizarre, almost conveniently written for entertainment situations? If you're like me, all of these things and more have happened to you. That's why the Toon Council is officially ending support for the sound gag track. 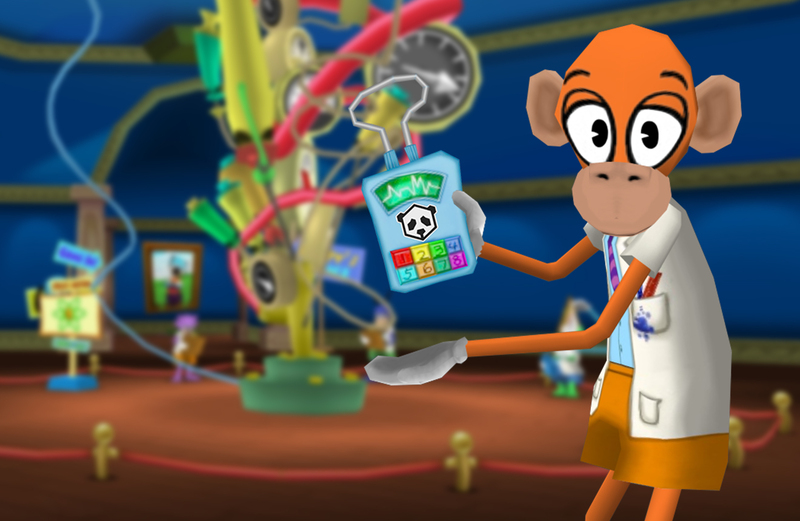 In addition to the noise complaints in Donald's Dreamland and the rising cost of Fog Horns, Loony Labs studies have shown that the sound gag track has become detrimental to Toontown. Don't believe me? I've got one of the finest Scientoons in all of Toontown here to provide his insight into the effects of sound gags all across Toontown. Take it away, Doctor Dimm! "Hello, my name is Doctor Dlimm! Is that supposed to say Dimm? Aha, yes, I am Doctor Dimm! My pay-ten-ted ree-search...says that sound gags can cause serious damage to Toon health. This is because of... 'improvise a big word here.' Say, Sir Max, Did you want me to fill in something right there? Alright, let's start over. This is because of... Uh... 'Divisionagonal-ducktosis.' Caused by sound waves. Now, how much longer do you want me to read from this script, Sir Max?" Oh, never mind him. The sound waves must have given him a case of divisionagonal-ducktosis, too! Anyway, starting next week, Gag Shops will no longer be selling sound gags. The "Sound" tab of the Options Panel will also be removed, just for good measure. Until then, Toon Troopers will be patrolling Donald's Dreamland to make sure that these sounds no longer disrupt anymore of my -- uh, our -- naps. • Engine Downgrade! In order to restore all of the nostalgic bugs that we all love so dearly, Toontown Rewritten now uses its original build of Panda3D from 2002. • Removed Acorn Acres, as it was found to be too confusing for new players looking for Bossbot Headquarters. • Bossbot Headquarters now features MiniGolf, Fishing Docks, and an Oil Geyser. • Informed every resident of Oak Street that there is, in fact, a Cog Headquarters just a few steps away. • Removed sound gags from Toontown. • Disabled all game sound, just to make sure that the sound gags are gone for good. Happy April Toons Week, Toontown! 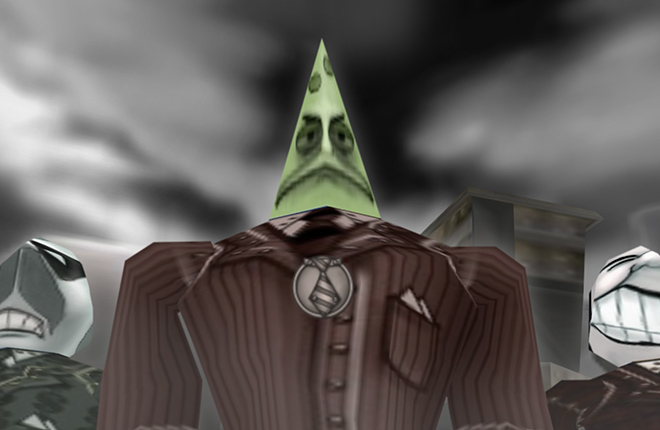 Looks like the soundless will start to take over Toontown, or possibly, THE WORLD. Woohoo! Great choice! Now lets go defeat some cogs! What the heck, I love sound gags!! This has to be some form of joke! Not epic!! Definitely an improvement! Thanks, Toontown team!!! This is a huge improvement, thanks for removing sound! Ah, goodbye sound forever. Certainly not April Fool’s or anything. I dunno if this is a joke or not, but I don't hate it. It would be nice not to rely on sound all the time. The soundless toons have won. XD This is going to be interesting. Oh no! What's my 5th track gonna be now?! I would like to say thank you for removing those pesky sound gags. They have cause nothing but complaints due to their loud and obnoxious sounds. Being able to freely walk around toontown without worrying about those toons with the sound gags is surly a treat to the rest of us soundless toons. As for the toons who previously owned those useless gags, welcome to the soundless club! Probably the best thing that you guys could have done, congrats !!!! Honestly, it was about time that Sound gags are gone for good. Sure they may have proven time and time again that they're extremely useful in battle but they're just too loud. I mean seriously, I just want to spread the joy of Opera, while also not bursting my ear drums in the process. This change will certainly help m- I mean us, sleep better at night. That's great.. but how are we gonna sleep through the crazy transformations today? Oh wait, we're toons. We can sleep through almost anything. soooo.. is this just for april toons week and then the sound comes back? or is this soundless update forever? Please say this is an April fools joke ?? Now you toons are on our level. I hate sound it wakes me up when I am sleeping. (April fools) GOSH DARN IT! 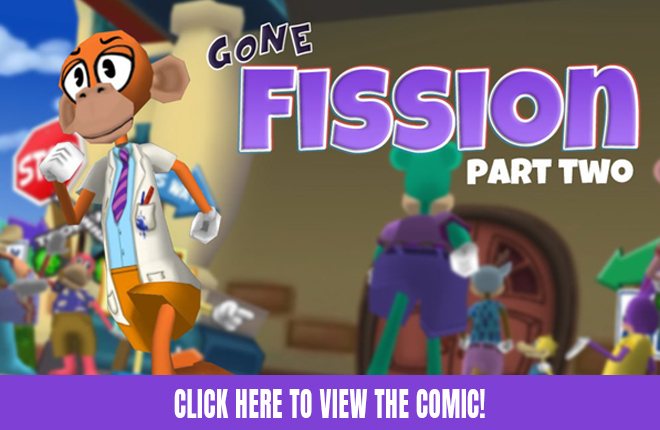 OK i have a confession, i DID want sound gone but not FOREVER i just wanted it to be temporarily because it makes toons get used to no sound gags but I think doing it all at once is a lot toontown, so maybe this BIG thing can happen a tiny bit later? I love all the toons who think this isn't real xD Regardless, thank you Toontown for getting rid of those noisy sound gags, removing Acorn Acres, disabling game sound entirely, and downgrading game engines. I think this will really bring us closer as a community.... april fools is a great day, isn't it? The day of the Soundless commences! I LIKE SOUND!!! HOW DARE YOU GET RID OF IT!!! GRRRR!!!! Oh no!!!! What are Melody Wavers, Moe Zart, and Sid Sonata supposed to do NOW!!!!!!!!!!!!! It even has the low quality image! You went all out on this one. ACTUAL JOKES FOR THE WIN! What an epic gamer moment! I agree with the sound being removed because its to op. Many people complained about to so Yes it is good that they took it out. Smart Choice TTR Team. I was actually expecting sound nerfs until I realized it was April 1st. hey guys anyone wanna do a sound factory? Finally we toons can find some quiet and silence. No more sound. Great April's fool prank, thought it was for real at first. OHHH Next week! Thats makes more sense!!! Sorry about that! does that mean we would have to pick another track if we are not soundless, if so then I won't be a toon-up less toon and only a soundless toon. Yeah, those bike horns were really grinding my gears. Pizza should replace the sound gag. Let's go, Spoons! Hey. Just be glad that removing sound, Smirky Bumberpop will now fit in with the other toons. What will happen for those of us who have chosen the sound track and have leveled it up? Will we be getting drop of the same level? Or will we be left to go back and earn drop through more toontasks? Honestly if we had a day that everyone is soundless.. it would be awesome!! Thank you Joey, very cool! April 1 is a suspicious date to post this,don't you think? Please tell me that this isn’t real because sound attacks are good for eliminating large group of robots Oof this will be hard as I have been soloing buildings lately. This is an April fools joke guys. WHAT!!!!!! I LITERALLY JUST GOT SOUND! SOUND IS HOW I LIVE IN FACTORIES! MY HIGHER TOON DIANNA IS TRAINING FOR IT! WITHOUT SOUND, SHE WOULD NEVER HAD SURVIVED A VP!!!! LAST NIGHT, SHE WOULD HAVE BEEN DEAD WITHOUT IT IN A OFFICE! PLEASE I BEG YOU DON'T REMOVE IT PLEAAASE! GOT TO BE A APRIL FOOL! Finally! No more late night interuptions outside during my research! Thank you toon council! wait im confused, so sound will not be a option to get anymore? I feel fooled that I'm a foolish fool to have been fooled by this April Fool's trick! Uh can a toon member confirm this? I know it was April 1st yesterday but this sounds real.... WAIT A SECOND! THIS IS A FOOL! Above the comments, toons, it says it got rid of game sound. FAKE! It said it already removed sound... FAKE! Please don't panic anymore guys! April Fools is Toontown's favorite holiday! After all this IS a silly game! Am I right or what? I actually gasped aloud. XD You got me. Wow! I love sound! sound are super gags! Guys I panicked so hard ?? You cant take away sound?!?!?!? Hoiw will we beat the cogs with out this!?!?!? Oh no! I hope ToonTown is okay! 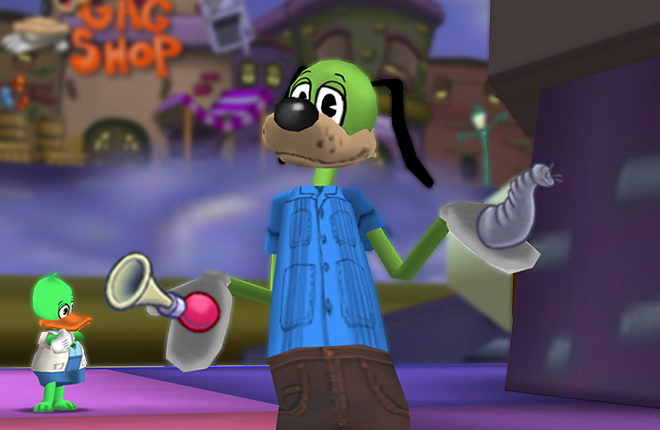 This is a CRAZY ToonTown April Fools Week! Everything gets wacky! Removing sound from Toontown!?!?? That is not epic to me or anyone that has maxed sound out. I worked hard on sound gags so what is the point of toontown without sound? Guess choosing the final gag will be easier now that it all fits together perfectly!, *Achooooga* sorry, well, I like whats being done for all those shopkeepers who need their rest. The work force needs their rest tto. I don't like the sound being taken away! all I can say about that! pfft, I don't need sound anyway... Okay, maybe I do. This must be some kind of prank yes? April Fool's day strikes again! Why no Sound??? I have Toon-up But what about the other toons that have sound??!! This MUST be a joke right?? please tell me that this is a joke. It isn't a joke, is it?? I'm six days late and I fell for this until I saw the date when posted. You guys got me good! it's gotta be april fools. aw man! how am I supposed to take down the VP quickly?